Google’s (s goog) going big on price reductions — slicing prices for its on-demand compute instances by 32 percent “across the board and across regions,” said SVP Urs Hölzle. Hölzle, who will be speaking at our Structure conference in June, also said Google will provide sustained use discounts without pre-payment. 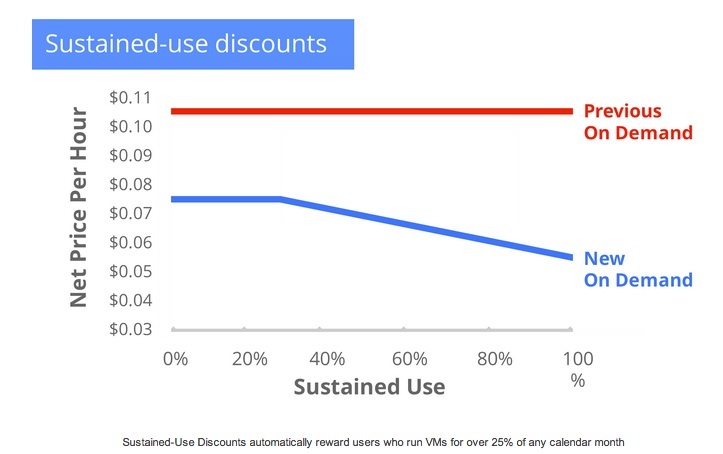 Per Google: Sustained-Use Discounts apply to steady-state workloads and kick off automatically when you use a VM for over 25 percent of the month. When you use a VM for an entire month, there’s an additional 30 percent savings over the new on-demand prices. 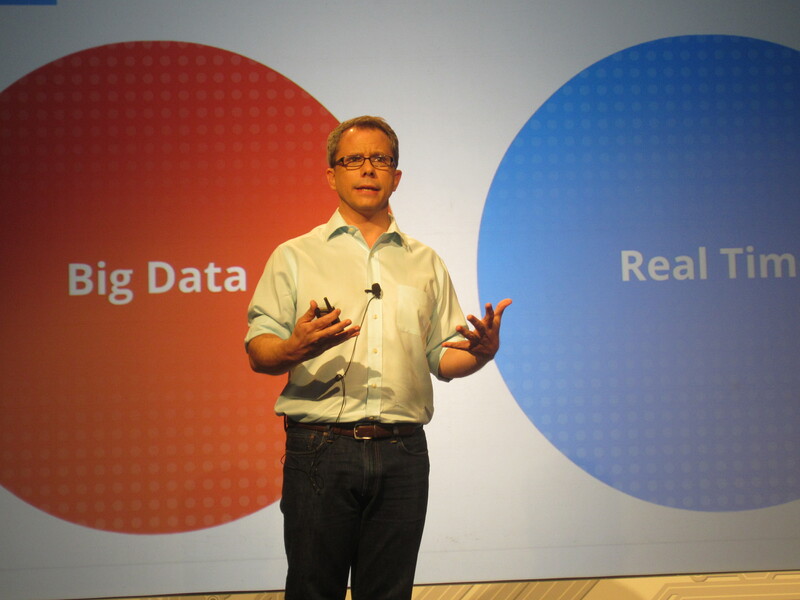 Prices on Google BigQuery were sliced even deeper, by 85 percent. And it gets a greatly sped up the data ingest process, which used to handle 1000 rows of data per second, but can now deal 100,000 rows per second. And a new BigQuery streaming service “can take massive amounts of data generated and immediately start to analyse it and draw business conclusions from it without having to do data warehousing, sharding, ETL or copying,” said Greg DeMichillie, director of product management. That capability takes on Amazon Kinesis, announced last year. DeMichellie also outlined added OS support. As expected, support for Windows Server 2008 R2 as well as Red Hat Linux and Suse Linux is coming to Google’s cloud which heretofore has been Debian or CentOS Linux centric. 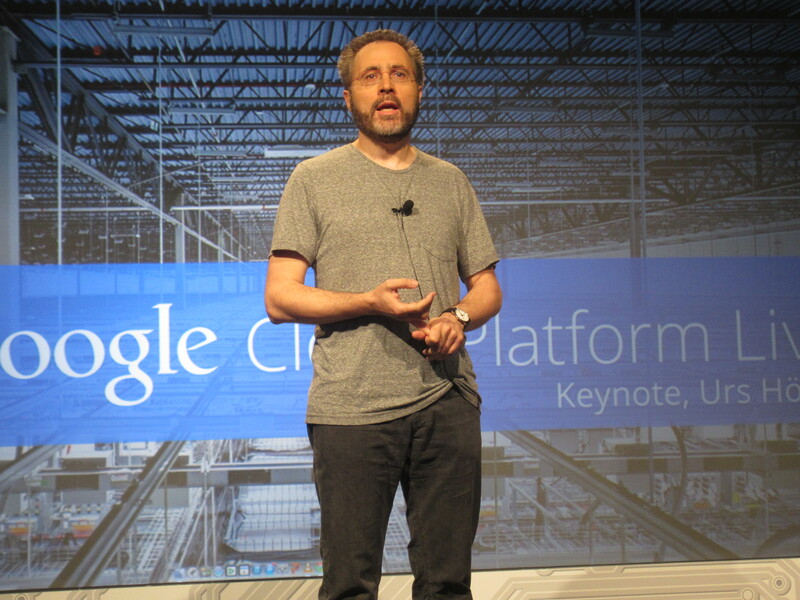 Other highlights: Google kicked off its Google Cloud Platform Live with a pretty impressive demo of Live Migration of virtual machines, which lets companies move workloads between compute instances without shutting them down. That’s not only a shot at AWS — which has no live migration — but at VMware, which has made Live Migration of VMs a cornerstone of both its on-premise and cloud proposition. That’s not to say there were not glitches at what is the coming-out party for Google Cloud Platform as a for-real competitor to Amazon Web Services: The live stream feed went kaput early on, sparking an outcry on social networks. It appeared to be back online in relatively short order. There was a lot of news to process here but a snap survey of attendees showed the sustained usage price model to be the big winner. They liked the idea of automatically calculated (down to the minute) discounts being applied. Hölzle’s talk is in progress, and this story will be updated throughout the day as more information becomes available.